Crazy time. Fell in love with these a couple of years ago, but had never played one. Bit the bullet earlier this year when I came into a bit of cash. Wait time's been only 8 months. Series 1 all Aluminium, Single Coils. Clarity is crazy. I'll admit that I was slightly worried that it was going to be very crash/piercing, and that it would show up my inadequacies more so. However, the sound it nuts. So clear, clean, baldy, smooth, and every other complimentary and contradictory adjective going. Kinda like P90s, but better in every direction. Don't know how much of this comes from the pickups and how much from the guitar as a whole. Resonance and sustain are excellent, but not over the top. I was half expecting it to reverberate and resonate all over the show, but this is not the case. Takes thick fuzz like a boss. Provides real weight, but still with individual note clarity. I love it. It's rare that I actually like/am happy with anything straight away, and I'm generally very neurotic. Not in this case, which is awesome. It is incredible looking. How is it made? Is that wooden top on a aluminium pan? I'd be worried about keeping it clean all the time. 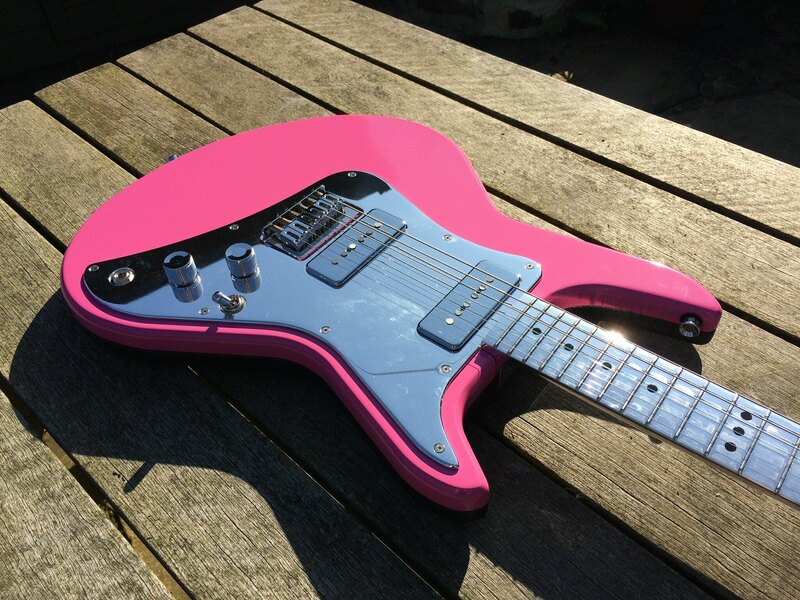 this might be the coolest guitar i've ever seen. wow. All aluminium. 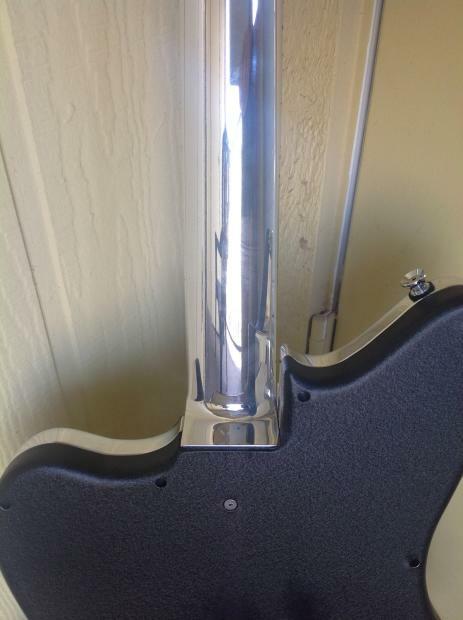 The pickups are mounted directly onto the neck (like half neck through) and the body is made of two clam shells. The top is powder coated, and the back has like a crinkle/stone chip finish. All bare aluminium is polished. Absolutely, but prob not until tomorrow. This is a real wow-er! People will certainly take notice. 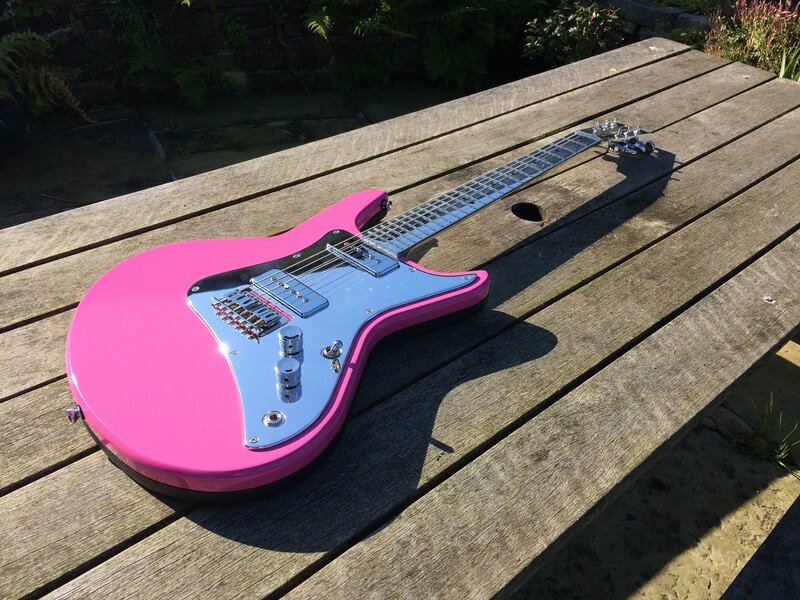 It's a stunning guitar is Gaviscon pink a custom colour or one of the standard options, and are we going to get an demo? Gaviscon pink was chosen from a RAL chart. You can basically have whatever your heart so desires. Will do a demo at some point, but will take a week or so to get set up. I'd love to try one of these. 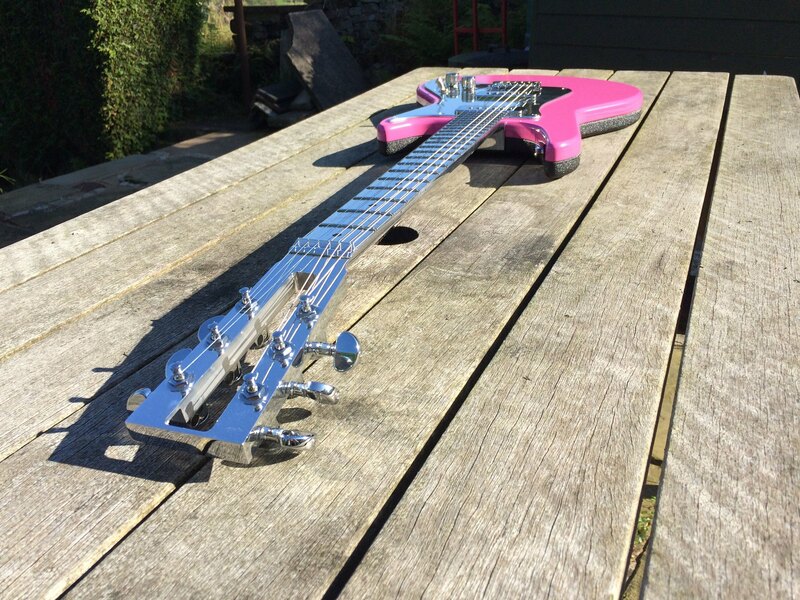 I've seen the Buzzo model before and thought it looked like great fun, They also do a Duane Dennison sig too with a fatboy neck. You're in very good company. If I got one it would take me about a decade to decide on a colour. 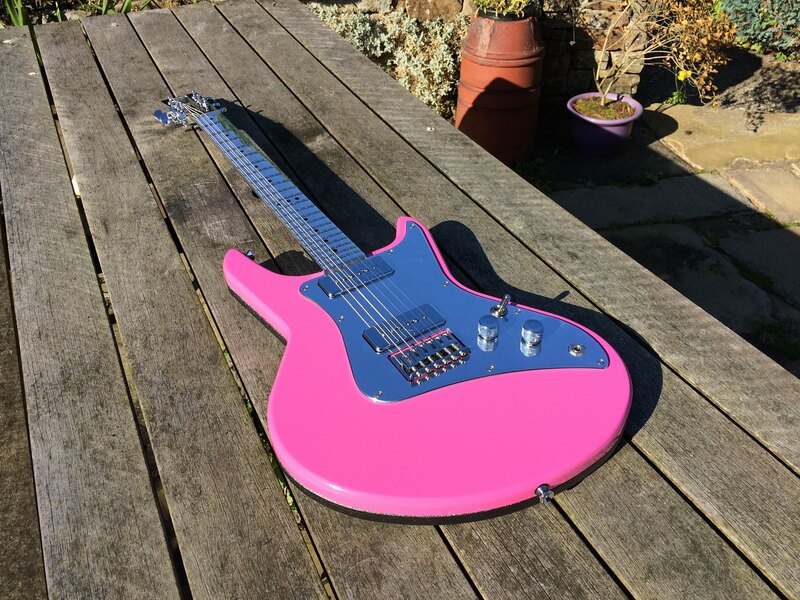 The pink looks great. So cool. Love the colour too. What's the name of this model? Is the front wood and the back aluminium? I was a tiny bit dubious about the extended horn (ooh-er) but in the flesh I like it. I like the horn. Erm, this is in rather bad taste I know, but dibs? Haha, yeah but i wouldn't hold your breath. Tim, the top's aluminium too. Just powder coated. It's a series one, and the extended horn was a mod over the original travis bean 500 shape to improve balance. Is the front wood and the back aluminium? Unless you specify otherwise with the full alum guitars, they do the back panel in black crinkle to stave off any wear. Eight months in the end?